The Five Chronicles, Kathang Dénga (Tib. བཀའ་ཐང་སྡེ་ལྔ་, Wyl. 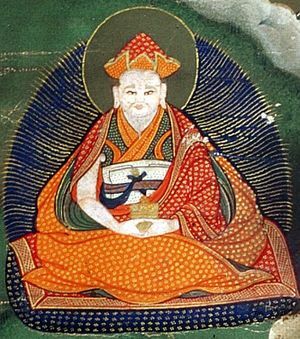 bka' thang sde lnga) — a terma biography of Guru Rinpoche revealed by Orgyen Lingpa at the Crystal Cave in Yarlung (yar klungs shel gyi brag). This page was last edited on 25 February 2017, at 09:07.